BuzzBeeuty - What's The Buzz In Beeuty? Hi my loves! I am so sorry for my long absence. I’ve been a busy bee (ha) and have been in the process of starting my own business! (more on that in a future post.) I am SO EXCITED to be bringing you another Q&A with an awesome Indie brand owner, as well as a review of some of her products. These are some of my favorite posts and I hope you enjoy getting an inside peek as much as I do! Today we’re talking to Olga from Olga’s Organics! 2017 was the year I started to take skin care seriously. I’ve struggled with adult acne the last couple of years, and I reached my breaking point. I started to do my research on skincare and educate myself on ingredients and found through trial and error that many mass-produced brands did not work for me and my sensitive skin. Even my prescriptions from the dermatologist were doing more damage than good. I was frustrated and my self-esteem was suffering. In comes Good Earth Beauty. This indie brand contacted me and asked to send over some products. At this point, I was willing to try anything. I had never tried an organic skincare line at this point. And I am so very glad I did. I have finally gotten my skin to a more manageable state and in the process have found some holy grail skincare and body products from this brand! I have gathered up every item I own from Good Earth Beauty and here are my full thoughts. Click read more to see all my favorites! Hey everyone! I’m excited to bring to you our first brand owner Q&A of 2018! If you’re part of the Instagram beauty community, you’ve probably seen the beautiful creations of indie brand Clionadh Cosmetics. 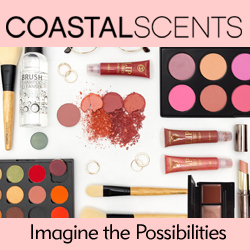 They blew up in 2017 with the launch of their first geology themed palette, fruit salad collection, and beautiful custom highlights inspired by famous paintings they auction off for charity. Leigh and Maggie, the sisters behind Clionadh Cosmetics were kind enough to answer some questions about themselves and their brand. Let’s go ahead and dive into the minds of these two creative and inspiring women! Happy New Year! I hope everyone is having a great start to 2018. 2017 was actually a pretty great year for me all around, and I’m so excited to see what these next twelve months bring me. I wanted to sit down and write a quick list of the highlights of 2017, and my goals for 2018. If you’re interested in reading my 2017 highlights and 2018 goals, you’re in the right place! As a collector of all things beauty, I’ll admit that until recently my nail polish collection was a bit sad. I had previously had every shade of the rainbow in multiple brands and finishes, but during my move overseas I had to start from scratch. In the last several months, I’ve accumulated enough to replenish at least a quarter of those I left behind, and I don’t always remember the exact shades I have at home when I’m out shopping. If only there was an app where I could store my collection for when I’m hunting down shades I don’t have… Oh wait, there is! Nailbuff app the rescue! Nailbuff is a brand new app that allows you to shop for polishes, compare shades, and manage your own collection on your mobile device. I’ve been testing it out for over a month now, and I can honestly say it’s been nothing but fun. I’ll admit, until recently I didn’t own any glitter. Shocking, right? How could a glitter lover not own a single glitter?! I obviously had to change that, so I placed my first order with Dear Katie Brown Glitters. I ordered twelve pressed glitters from her shop, and today I’ll be giving you my first impressions on these Dear Katie Brown pressed glitters! My oh my, has this month already been a busy month for new releases! It seems like every brand is starting to release new makeup products, and I couldn’t be more excited for all these items! It can be a bit overwhelming keeping up with what’s new, so I’ve compiled some new releases for you today in hopes that it helps you determine what you’ll be spending your money on this month! A lot of these are limited edition, so hop on them quickly if they catch your eye! The world of makeup can be overwhelming. When I fist started watching Youtube videos and building up my makeup kit, I had no idea where to even start. I ended up spending a lot more money than I should have for products that weren’t necessarily great. I’ve compiled a couple of makeup starter kits under $50 and under $100 for you today, in hopes that you don’t experience the same disappointment (and buyers remorse!) that I did when I first started out. I hope you find these makeup kits on a budget helpful! Today I’m starting my #TBT series, where every Thursday I’ll be posting a full review and eye looks using products that are older and haven’t gotten much love from me lately. We’re starting things off with a classic, the Too Faced Chocolate Bar palette. This baby was the first high-end product I ever purchased. I remember going into Sephora when I first got into makeup, dreaming of the time when I could afford to splurge on something that wasn’t from Walgreens. I was working as a barista at the time, and I saved up all my tips from two months to buy this palette. So obviously this palette is very special to me. It sparked my love for eyeshadow palettes, and thus began my need to collect everything in a pretty packaging. Hi lovelies! I’m so excited to bring you another brand owner Q&A! Today we’re chatting with my friend Katie Brown, the owner of DKB Glitter. She has a newer Etsy store specializing in some of the most beautiful pressed glitters I have ever seen! I’ve had the pleasure of getting to know Katie through Instagram. We’re from the same hometown, and have quite a bit in common! She’s a real sweetheart, and I enjoy every conversation we’ve had together. I’m so honored that she agreed to let me interview her today! If you’re curious to know all the insider deets on this wonderful woman and her brand, please keep on reading! I’ll admit, I have a bit of a shopping addiction. Constant access to the internet doesn’t help this small problem, but luckily over the years, I have found some amazing ways to save money when I place my online orders. And today I’m sharing my tips and tricks on how to save money shopping online with you! These tips are mostly geared towards shopping for beauty products, but many of these sites are pretty generalized! I hope these help you save some moolah on your next online purchase! Hey everyone! Today I’m bringing you my first brand owner interview with Mariaisabel of Spiced Cosmetics! This brand has blown up recently on Instagram. They opened in April and have already launched an impressive collection of products ranging from mineral shadows, liquid eyeliners, and liquid lipsticks! It’s been a pleasure chatting with Mariaisabel! If you’re interested in learning more about her and her business, please keep on reading! Hey everyone! I’m so excited to be hosting my first-ever makeup giveaway! Sephora has rolled out a new cosmetics brand this week called Pretty Vulgar and I am drooling over it! I’m a major sucker for packaging, and this vintage-inspired collection is calling to me! Today I’m going to be giving you a quick look at what this brand currently has to offer on the sephora.com site, as well as the items I have my eyes on. Let’s get started! Hey guys! I’m so excited to be bringing you a review of some items from a new brand to me, Nomad Cosmetics. I’ve been trying out these items for a few weeks now and have so many thoughts I’d like to share with you! Nomad Cosmetics is an indie cosmetics brand bringing the beautiful colors of the world to your vanity. I’m sitting on my front porch, dog by my side, thinking about how I would like to write this blog post. How do I want it formatted? How long or short should it be? How can I engage readers? And then it comes to me: be yourself. First off, thank you so much to Buzz Beeuty for allowing me to create a guest blog on their account; I love the work that they do… So this is quite the honor. Let me start off by introducing myself. Hi, my name is Danielle. I am 23 years old, I like long walks to the fridge and when gnats bother me. Just kidding, lol. But seriously, I loooove animals (really love cats) and I have grown a loving relationship with makeup and all things related to makeup. I have a YouTube channel called DaniLunes that I just recently started, about four months ago, and I’m excited to announce that I am freaking loving it. I thought I would share my story with you, in hopes that I can reach at least one person who felt like I did about starting my own channel. Hey y’all! I am so excited to bring you today’s review! I recently received some items from Boho Chic Cosmetics. Below is some information about the brand! Boho Chic Cosmetics is founded by Yeiza Reyes, a green blogger who created the blog Boho Chic Meets Organics. The Boho Chic Meets Organics blog was a space to share her writing about her farm, eco-living, and green beauty products. Beyond blogging, Yeiza also worked with brands and companies to test and formulate natural beauty products. She enjoyed helping brands to create safe and eco-conscious products for all types of consumers…. Boho Chic Cosmetics mineral makeup is handmade in small batches. The colors and collection are inspired by art, travels, and the maker’s flower farm in Pennsylvania. Hey loves! Welcome back to my blog. Today I have a review for you on the Soap & Glory Ultimatte Collection eyeshadow palette. I received this palette as a gift from my mom. I haven’t read any reviews on it, so here I am to give you the rundown! Is it worth it? Read on to find out! September was a very long, very weird month for me. I am still new to Germany and spent most of my month alone as my husband had some training to do across the country. No biggie! Just meant I was extra busy keeping up with my pups and didn’t have much time for a full face of makeup. That being said, I don’t have as many favorites as I’d like this month. I did discover some awesome products that help create a quick makeup look that I would love to share with you today! None of these products are new to me. In fact, I’ve been shopping my stash quite a bit as of late and I’ve fallen back in love with some gret products. So if you’d like to discover what I used and recommend last month, please keep on reading. Sign up here to get my insider tips and tricks, product recommendations, and more sent right to your inbox!